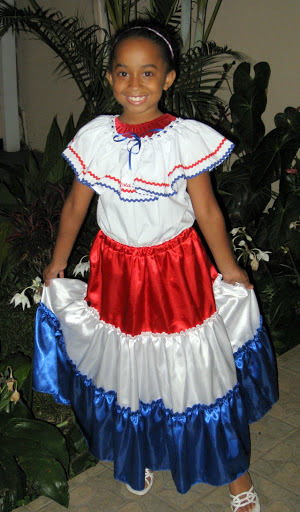 Happy Independence Day, Costa Rican Style! Tomorrow is the day our Costa Rican brothers and sisters will celebrate Independence Day! Anna wanted to be the first to celebrate, so we finally found her appropriate attire!